Our address for your GPS is Badachro, Gairloch IV21 2AA. 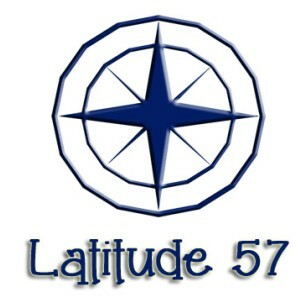 If using Google Maps, search for Latitude 57. From the east: Follow the A835 through the village of Garve, then turn left onto the A832 towards Gairloch. Drive through Achnasheen and take the 2nd exit towards Gairloch. Drive for approx 26 miles, then turn left over a small stone bridge next to the largest sign in the Highlands :) for Badachro and Red Point. Drive on for 3 miles into the village. Take the first right turn towards the pub and the sea. There is a car park further down the hill, and the shop is located halfway between the car park and the pub. From the west: driving south from Gairloch, travel approximately 3 miles until you reach a small stone bridge on your right, signposted for Badachro and Red Point. Drive on for 3 miles into the village. Take the first right turn towards the pub and the sea. There is a car park further down the hill, and the shop is located halfway between the car park and the pub.